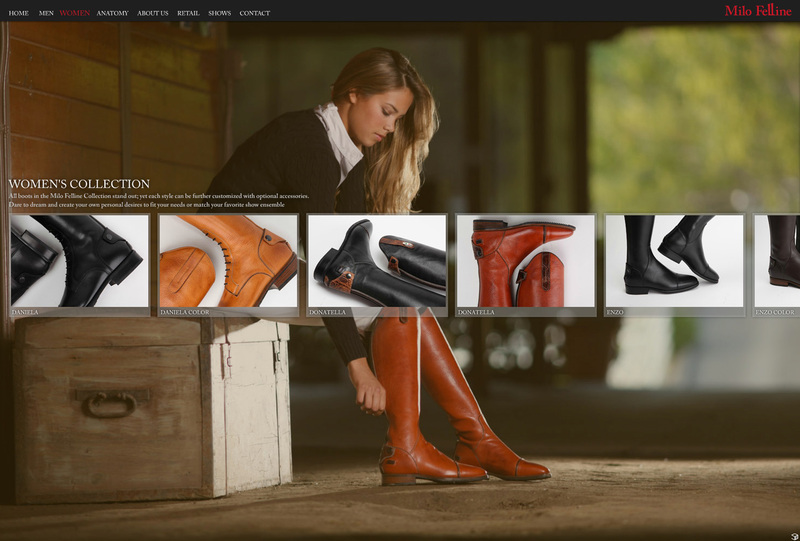 This fashion website design project won awards for site design from the American Design Awards. 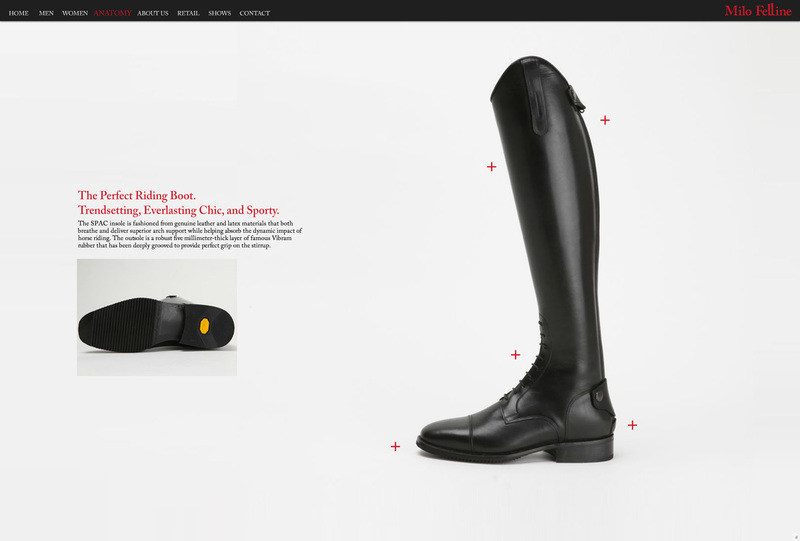 The site takes you into the Milo Felline world of high end horse riding boots, and really shows off the company style. 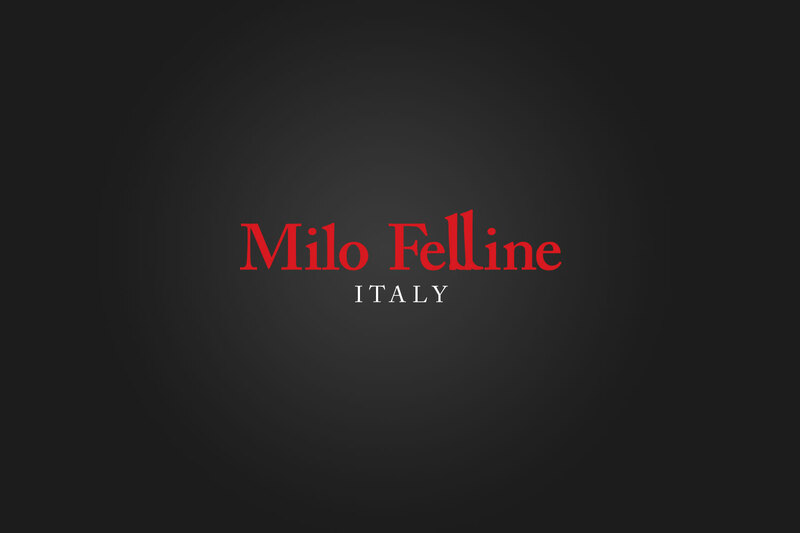 Milo Felline is a custom handmade Italian boot company. When we sat down with owners Sandrine and Christian, they explained that while the boots were primarily for horse riding, they are a high quality, fashionable accessory. So, we decided that we would highlight the ‘fashion’ side of this product with full photo shoot and product photography. The brand look needed to be solid, but versatile, allowing it to be included on literature, online media, and also stitched or stamped on various products. So, we created the initials ‘MF’ that could be used in products, but also the full logo that would be the primary means of brand recognition. 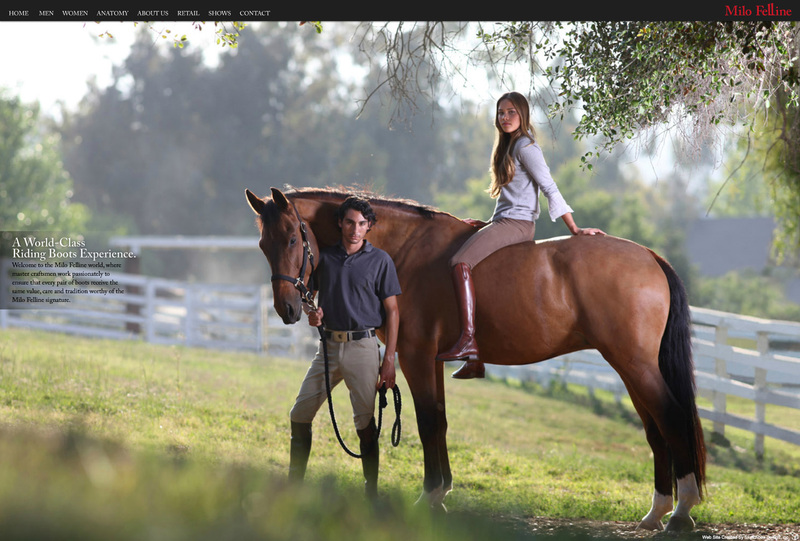 The photo shoot was done in a couple days, including product photography, and model shots complete with horse and rider. The final shots came out beautifully, and really brought to life the brand idea of a ‘fashionable, quality boot’. The web site was aimed to help continue the brand experience. The site has an overall slickness to it that really shows off the product features and style. 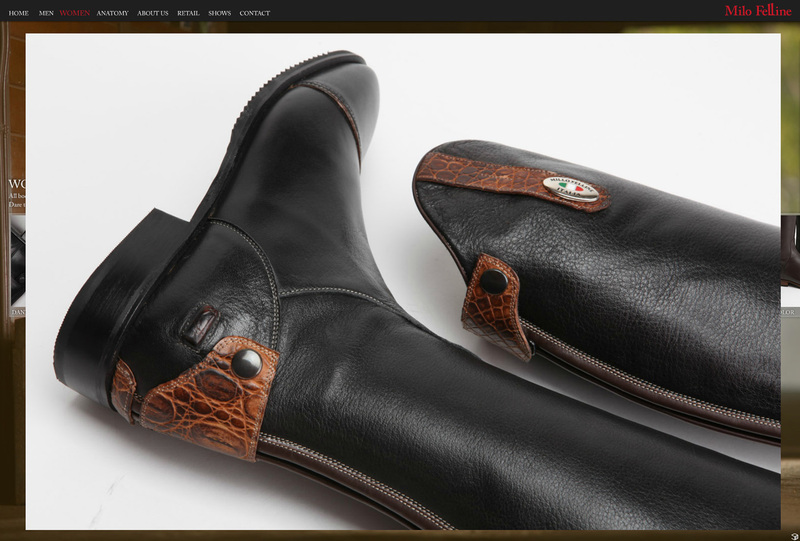 We built a custom product viewing system that allows the user to quickly scan through the product line and view and enlarge pictures of the boots, as well as see details and accessory options.